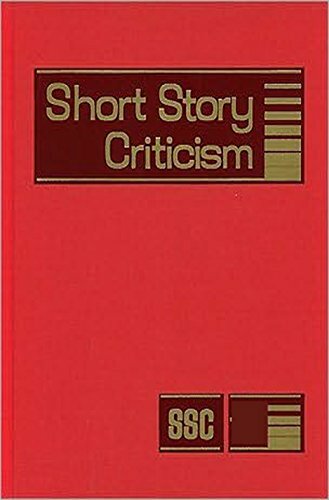 Short Story Criticism assembles critical responses to the writings of the worlds most renowned short fiction writers and provides supplementary biographical context and bibliographic material to guide the reader to a greater understanding of the genre and its creators. Each of the more than 200 volumes in this series profiles approximately 3-6 writers of short fiction from all time periods and all parts of the world. Entries provide an introductory biographical essay, a primary bibliography, a selection of full-text or excerpted critical essays reproduced from books, magazines, literary reviews, newspapers and scholarly journals, and sources for additional research; many entries include an author portrait. A full citation and annotation precede each of the approximately 50 essays per volume. The series currently covers more than 500 authors and also includes numerous entries focusing on individual works and topics.